The Sentiling mini exhibition in SMA Negeri 1 Semarang, all of the visitors were so curious with the sories. Reputedly its named Sentiling due to the Javanese felt hard to spell Koloniale Tetoonstelling, so they simplified it to Sentiling. "Als Ik een Nederlander Was" (If I were a Dutchman). A quotes from Ki Hajar Dewantara (Suwardi Suryaningrat) articles in De Express Daily, written in 1913 criticizing the Dutch government preparations of Koloniale Tetoonstelling event, held in Semarang, which also become the commemoration of 100 years of Dutch independence from France. In the article he wrote that, if I were a Dutchman, I will never celebrate my independence day commemoration in the land were I grabbed their independence. The article also makes him exiled to Holland by East Indies Gouverneur-General, Idenburg. 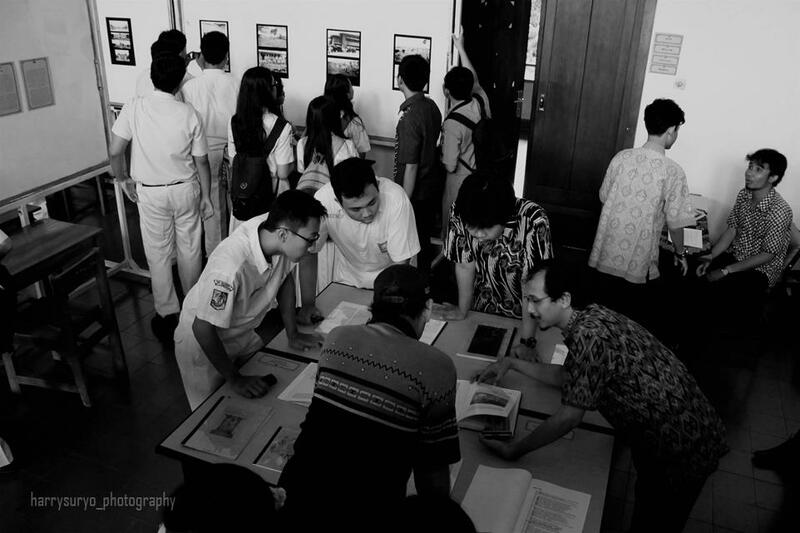 That quotes welcomed the visitors on the Sentiling 1914 exhibition, held in SMA 1 Semarang in order to provide knowledge to the public about this Koloniale Tetoonstelling. 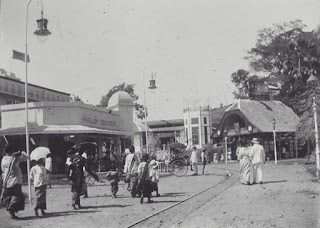 Anyway, the area of SMA 1 Semarang itself stands on the former area of Koloniale Tetoonstelling, which stretched from Pieter Styhoof Laan (now Jalan Pandanaran) to the south, around the area of ​​what we recognize as Taman KB nowadays. 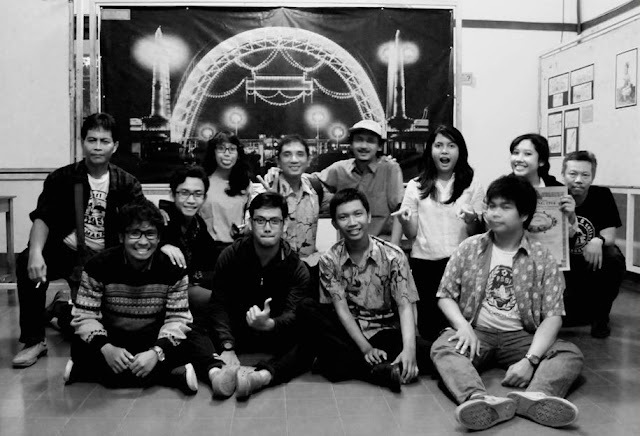 The event was held over three days from 10-12 December 2012.
of Pieter Styhoof Laan (now Jalan Pandanaran). 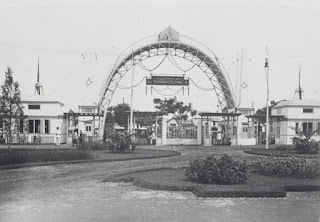 Less people know that in Semarang, from August to November 1914 was held this Koloniale Tetoonstelling, a colonial exhibition that used to be the biggest in Southeast Asia's, a world expo which until this day havent held yet in Indonesia anymore (see the list of worlds fair in the world here). As an efforts related to the preparation, facing this event, the infrastructure in the East Indies soon be "slicked up". Train is a favourites transportation on that age, so that railway stations are built for facilitate those visitors from the another town. Jurnatan station, before it the station was just a simple timber station, then converted into a luxurious grand station in 1913, then become the largest station in Semarang, unortunatelly, its already demolished. 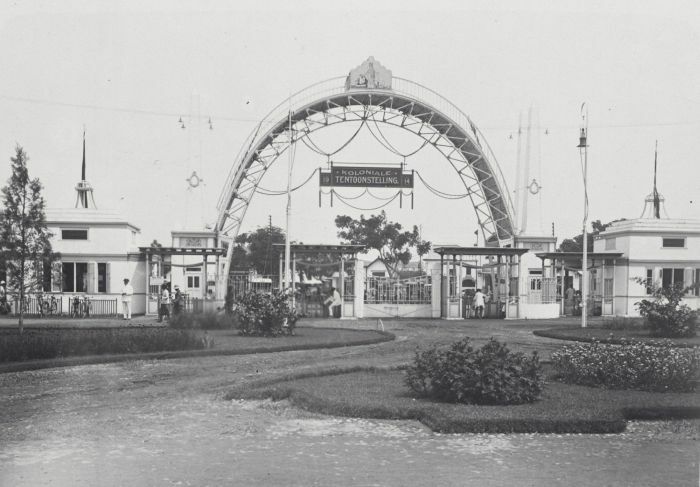 Then another two new stations built, there are Tawang (inaugurated in June 1914) and Poncol (inaugurated, August 1914), all of that purposed to support the event of Koloniale Tetoonstelling. A lots of car rental established and of course, a lots of hotels were built in the southern part of Semarang as a visitor accommodation. which served to transported around the exhibition area. This event also an event to show off the Dutch achievements in East Indies. Plantations, the main commodity that exported from East Indies, the pavillions is built completed with the miniature of sugar, coffee, tea, cacao, kina, and many more plantations landscape. The manufacturing, trade, financial, bank companies and the colonies in the archipelago complete with custom homes and custom performance shown also participate in this event. As it name as a world expo, this event were invited several fellow country. Unfortunately, on the same year the World War I broke out, which led to this event didnt realized as its planned before. All the representatives of European countries to cancelled their participation, and the only fellow country that attend this exhibition only United States, Australia, British India, Switzerland, French Indochina, China and Japan. Explanation through archival photos and books attract the attention of visitors. Until the end of the even, its recorded that 286 people visited the exhibition. A number, that I think its very fantastic, because it is just a simple exhibition, with minimal decoration precissely. This exhibition also financed by Titus Aji, also the initiators of this exhibition that also ask me in favor together to handle it. Salute! in this materialtistic world, there's a people who still wanna to hold this kind of event, which surely there's no benefit at all. Well its already done anyway, thanks for all especially to my friends who have been strong willingness as a volunteer to handle it. So proud you guys! May the knowledge of the visitors after attended our events and their smile, always be a remembrance for us, and made us believe that what we've done is worth, and may God replied by His own way :) ameen. . . I would like to have the video of your event.. do U have it? Or maybe can upload to youtube?